Is there a scarier statement in the whole wide world!? Especially as they grow older and their questions get more, um, exciting? I think every time by almost-12 year old starts a conversation like that, my heart has a mini-heart attack just waiting to see what the question will be. 95% of the time it’s something like, “Can Amber have a sleepover?” or “Can I watch a movie?” but sometimes… sometimes it’s the question my heart was dreading, questions I don’t want to have to answer or I don’t feel prepared to answer. So if parenting is a roller coaster, then those questions are the drops, where your heart plunges and you think, “Nope, can’t handle this one.” I’ve seen and experienced many different reactions that parents have to these question moments. When the tough questions come, I’ve seen parents retreat and I’ve seen parents engage. I’ve seen subjects get changed, answers get delayed, and interrogations take place. And as a parent myself, I am definitely navigating the waters of the best parental response to these moments. Can I offer these few thoughts? 1. Don’t react in Fear – Fear is an awful thing. It convinces us of things like, “You’re not good enough. You can’t do this right. You are going to screw this up.” It whispers in your ear, “Answer this question perfectly OR your kid is lost and it’s your fault.” I’ve watched fear lead parents to completely close themselves off from their children because they are so afraid of messing up. That in and of itself will harm. Remember this in those moments, “God has not give us a spirit of fear, but of POWER, and of LOVE, and of a SOUND MIND.” (2 Tim. 1:7). That fear you feel? Not from God. The power, love, and sound mind you experience? From God. Lean into that and fight fear. Even if you have to say, “That’s a great question and I want to answer it. Let’s set a time to do that because I want to pray first and give you the best answer I can” will be better than just dodging the question in fear. 2. Expect the Questions – As much as we don’t want to think about our children experiencing that “dark side” of the world, they will. Whether it be moral issues, faith is sues, personal issues, emotional issues… they will experience it all… JUST LIKE YOU DID! Anticipate the questions, because they are coming. There’s probably not too much that could take you off guard, if you allow yourself to sit down and actually think through the issues they will face. If you struggle with that, I recommend the book Trust Us, They’ll Ask published by Group . This book is a fantastic resources to get you thinking ahead to questions that you will face and you won’t be taken off guard. Sometimes in our panic or our zeal we forge ahead into territory our kids aren’t ready for yet. A few probing questions on your part before you answer, such as, “Hmm, why do you ask that?” or “That’s a good question. Where did you hear about that?” could be just the barometer you need to know where to start and what to say. 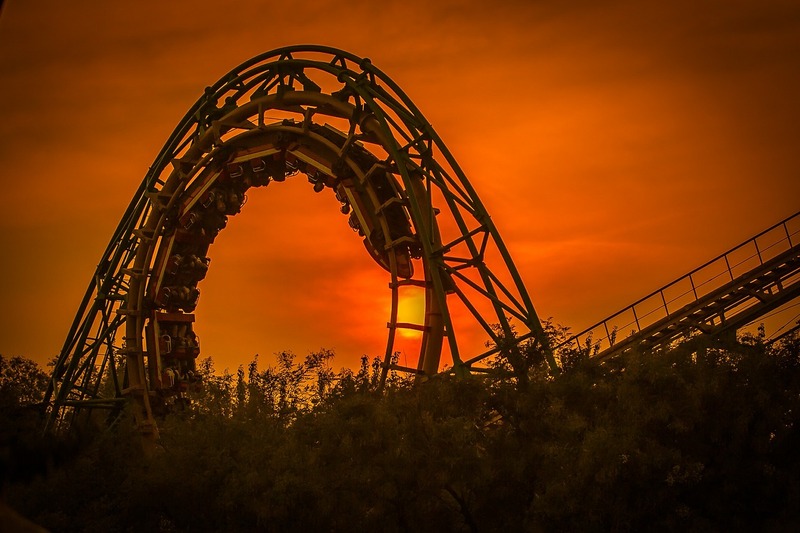 Slow down the roller coaster in your own heart. 4. Rely on Christ – Look, the reality is, they will ask the questions and you will struggle to answer. “How much should I say? How far should I go? How deep should I venture?” In those moments, rest in this promise, “the Holy Spirit will teach you at that time what you should say.” (Luke 12:12). God won’t leave us hanging; He is more invested in your child’s future than you are and He wants them to grow and learn with you. If He has called you to parent, and you are answering that call, then He will equip you and lead you in the doing. If parenting is a roller coaster, then He is those really tight bars and straps that keep you from flying out. You are exactly the right person they should be asking! If you don’t have the conversation with them, then someone else will, and who knows what they will learn from them. You are the single most important influence in your child’s life. You have a great privilege, a beautiful calling, and a God who is with you every step of the way.